You´ve just got engaged and you´re still living the euphoria with your fiancée, friends and family about how he proposed to you and when and where you´re going to get married. You´ve decided on your wedding date and wedding venue but you now need to look at wedding photographers, but when is the best time to book a wedding photographer? 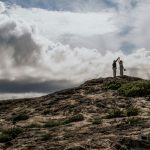 It is a question I am constantly asked as a Wedding Photographer in Tulum and Playa del Carmen, Mexico. The answer will vary from person to person and will ultimately depend on the wedding photographer´s agenda, be it myself or any other wedding photographer you are contemplating. Sadly, it is common that many wedding photographers (including myself) have to turn brides and grooms away because someone has already secured us for their wedding day. If your wedding photography is important to you (and it should be, remember…it will be the only tangible memory you have of your wedding day). Your Wedding Photographer should be one of the first vendors you book, once you have a date and venue set for your wedding. Your wedding photos will outlive any other aspect of your wedding day, and you want to ensure your wedding photos capture your majestic wedding venue, your designer wedding dress and all the emotions that go with the day. WHEN DO I BOOK A WEDDING PHOTOGRAPHER? I have had brides book me as their wedding photographer over 1 year in advance, others booked me 1 month before their wedding. There is no golden rule, but one needs to take your wedding date into consideration. If you´re looking for a metric, I would recommend booking your wedding photographer at least 8 months in advance. 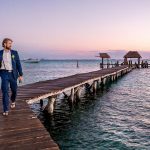 If you are having your destination wedding in the Riviera Maya (Playa del Carmen, Cancún and Tulum) during peak season (April-May or Nov-Dec), wedding photographer’s agendas get filled very quickly! The best advice I can give is, book your wedding photographer as soon as you book your venue. As your wedding date gets closer it will be harder to book your first-choice wedding photographer. Weddings on Saturdays are without a doubt the most sought after with wedding photographers, and of course the first reserved. Weddings on Fridays and Sundays (and even mid-week) in Cancún, Playa del Carmen and Tulum are also growing in popularity and could be an option for you to contemplate if you want more flexibility with your wedding photographer….and other wedding vendors. If you are dead-set on a certain wedding photographer and you have the economic resources to book them…then don’t wait! Worst case scenario, if you have decided you would like me to be your wedding photographer here in the Riviera Maya, and I am already booked…feel free to ask me for other recommendations, and I shall gladly point you in the right direction.